The flag meeting comes in the wake of several ceasefire violations by the Pakistan army in which five Indian security personnel were killed and seven others injured. The Indian and Pakistan armies today held a brigade commander level meeting at a border crossing in Jammu and Kashmir's Poonch sector to adhere to ceasefire, a defence official said. The meeting came on a day when security forces shot dead six Lashkar-e-Toiba (LeT) terrorist during an encounter in a forested area in Jammu and Kashmir's Anantnag district. 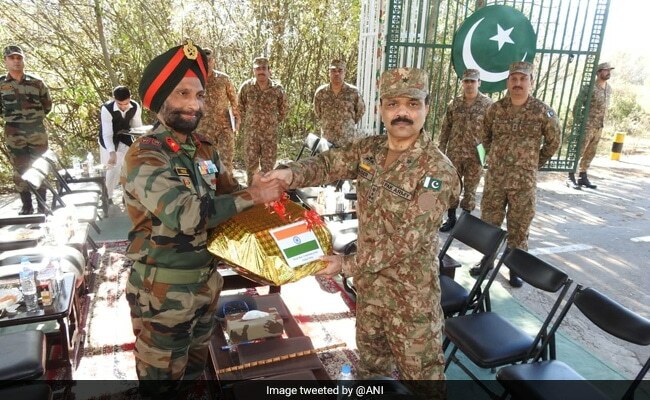 "The brigade commander level flag meeting was held between the Indian Army and the Pakistan Army at 1100 hours at the Poonch-Rawlakote Crossing Point," Lieutenant Colonel Anand said.